the forecast today says it is going to be 36°C, I bought two fans to help us overcome the crisis, but it is still quite rough. This week was similar as the last one, we continued playing the multiplayer map and we fixed all the problems we encountered. There were quite lot of them and some of them would be very annoying for someone who can't just fix it and continue playing :) We also tried to cover more and more areas with tests, which helped us to find few serious bugs as well. We still didn't have a whole day without a bug, but the overall feeling is that the game is playable enough for us, so it is good enough for the 0.12.0 experimental. As you may know, the space platform building part was moved to 0.13, but one of the big changes we had to do is already prepared for 0.12. The game can now contain independent surfaces which are basically independent maps in a single game. This option is unused in the vanilla game, but it is possible to create additional surfaces (and teleport there) through scripting interface. I'm almost sure that some mod will use this new feature, so it will be better tested until officially used in 0.13. Pavel finished the concrete tileset, so the the floor set is complete. Apart the walking speed bonus, the terrain affect the vehicle friction as well. Sand is the slowest terrain to ride, while concrete is the fastest. Every vehicle also has a modifier of how much is it affected by the terrain, so while the car speed is affected a lot, the tank speed is almost the same on sand as on concrete (80% terrain slowdown reduction). 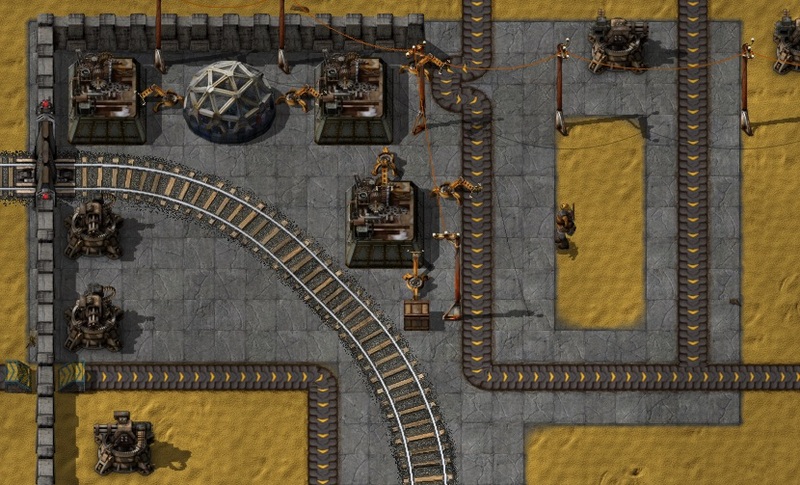 As adding circuit network components is not so complicated now, Robert decided to put some small addition to the 0.12 after all. It is possible now to read the amount (and type) of fluid in the storage tanks and control the pump and offshore pump by the circuit network. This gives the player better control over the oil products spending. As always, you can comment the news on the forums.